This ssto is designed for single-stage travel to any planet that you want in Kerbol system. The ship is powered by nuclear-fusion reactor and propelled with the proton beam as well as other forms of radiations directly from the reactor. The ship contains large amount of instruments that would let you perform every type of scientific experiment that you need. 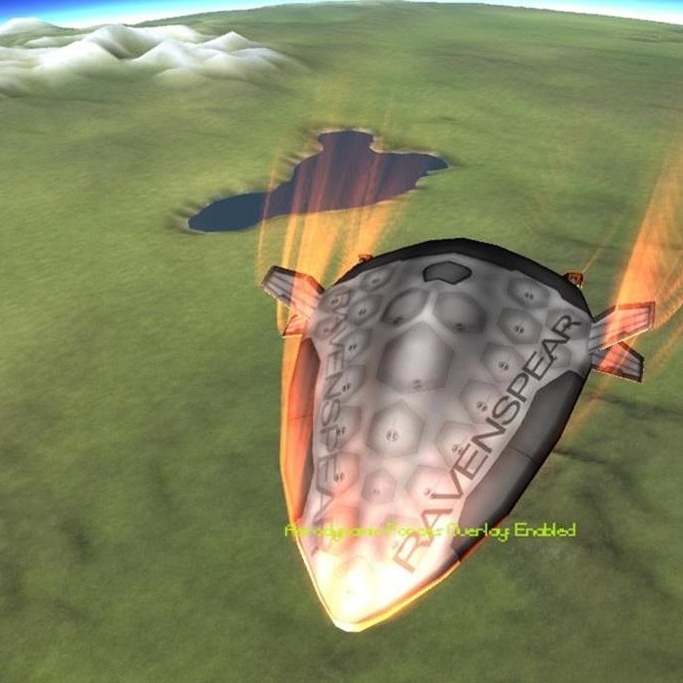 It also features a inner antenna that could transmit your data any time you want; however, it is better to bring the data back to kerbin, right? The hard drive on the ship is big enough for you to store everything you've got. Besides, the ship is swift enough to let you travel from north pole to south pole of any planet within 8min. Caution: This mod may break the balance of the game and makes it no longer challenging. If you are new to KSP, please be careful of using it.